April 4, 2006: Thirty-plus years ago on the moon, Apollo astronauts made an important discovery: Moondust can be a major nuisance. The fine powdery grit was everywhere and had a curious way of getting into things. Moondust plugged bolt holes, fouled tools, coated astronauts' visors and abraded their gloves. Very often while working on the surface, they had to stop what they were doing to clean their cameras and equipment using large--and mostly ineffective--brushes. Dealing with "the dust problem" is going to be a priority for the next generation of NASA explorers. But how? Professor Larry Taylor, director of the Planetary Geosciences Institute at the University of Tennessee, believes he has an answer: "Magnets." The idea came to him in the year 2000. 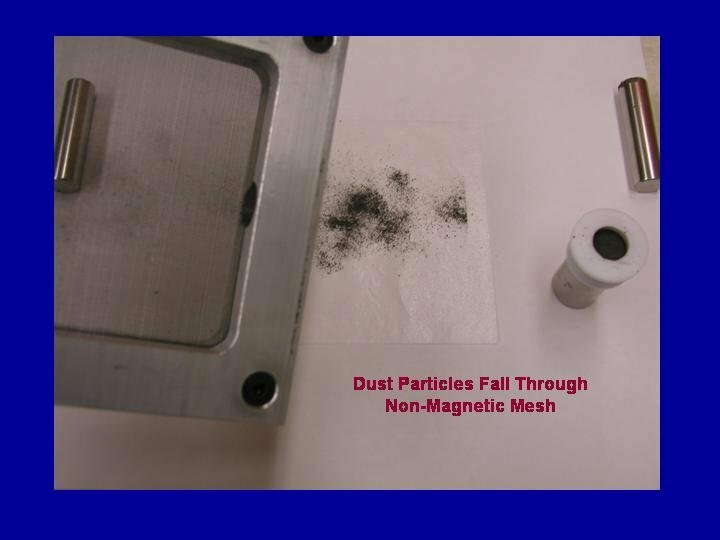 Taylor was in his lab studying a moondust sample from the Apollo 17 mission and, curious to see what would happen, he ran a magnet through the dust. To his surprise, "all of the little grains jumped up and stuck to the magnet." "I didn't appreciate what I had discovered," recalls Taylor, "until I was explaining it to Apollo 17 astronaut Jack Schmitt one day in my office, and he said, 'Gads, just think what we could have done with a brush with a magnet attached!'" Taylor has since designed a prototype air filter with permanent magnets inside. "When the filter gets dirty, you pull the magnets out, and the dust falls into a box." A later design with electromagnets works more efficiently: "You pull the plug on the electromagnet, tap it, and the dust rains down into a container." 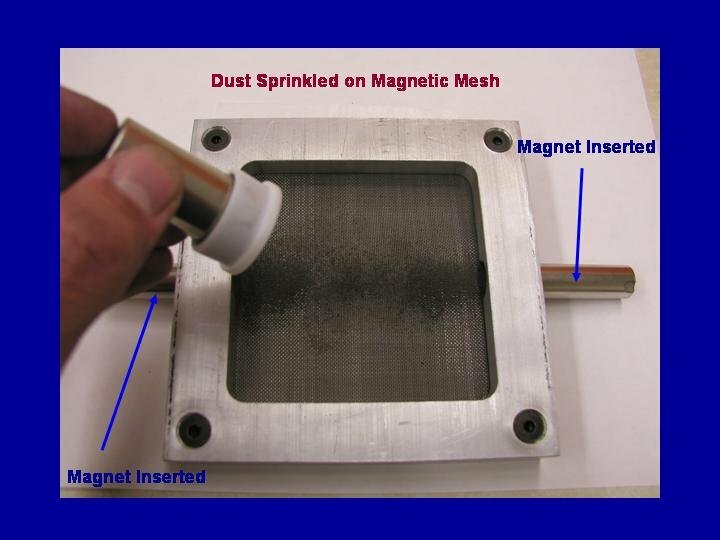 He's now working on a prototype design for a "dust brush" using permanent magnets. Earth dust is not magnetic, so why should moondust be? "Moondust is strange stuff," explains Taylor. "Each little grain of moondust is coated with a layer of glass only a few hundred nanometers thick (1/100th the diameter of a human hair)." 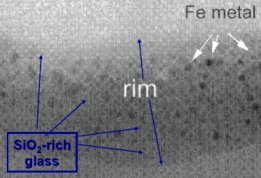 Taylor and colleagues have examined the coating through a microscope and found "millions of tiny specks of iron suspended in the glass like stars in the sky." Those iron specks are the source of the magnetism. Researchers believe the glass is a by-product of bombardment. Tiny micrometeorites hit the surface of the moon, generating temperatures hotter than 2,000°C, literally the surface temperature of red stars. 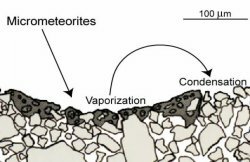 Such extreme heat vaporizes molecules in the melted soil. "The vapors consist of compounds such as FeO and SiO2," says Taylor. If the temperature is high enough, the molecules split into their atomic components: Si, Fe, O and so on. Later, when the vapors cool, the atoms recombine and condense on grains of moondust, depositing a layer of silicon dioxide (SiO2) glass peppered with tiny nuggets of pure iron (Fe). 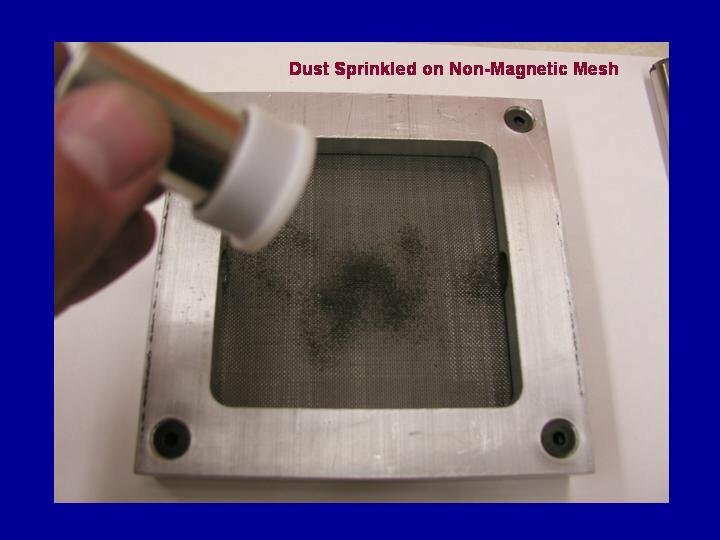 A thin coating of iron isn't enough to make sand- or gravel-sized particles noticeably magnetic, any more than spraying a thin coating of iron on a heavy basketball would make it stick to a magnet, says Taylor. But a thin coating is plenty for particles smaller than about 20 microns. They have so little mass compared to their surface area, they're easily lifted by Taylor's magnets. Magnets aren't the only way to deal with moondust. NASA is considering a whole suite of options from airlocks to vacuum cleaners. But, if Taylor is right, magnets will prove important, and astronauts won't find moondust so troublesome the next time around. 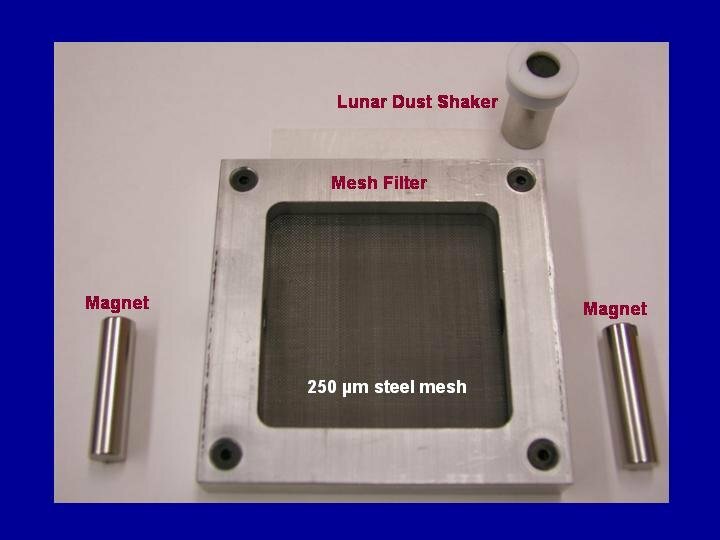 Mining the Moon, Mars, and Asteroids -- this article includes a discussion of moondust magnetism.